The politics of the Great Barrier Reef……. I ran across this Kudelka cartoon in The Australian this morning while I was eating my cornflakes. 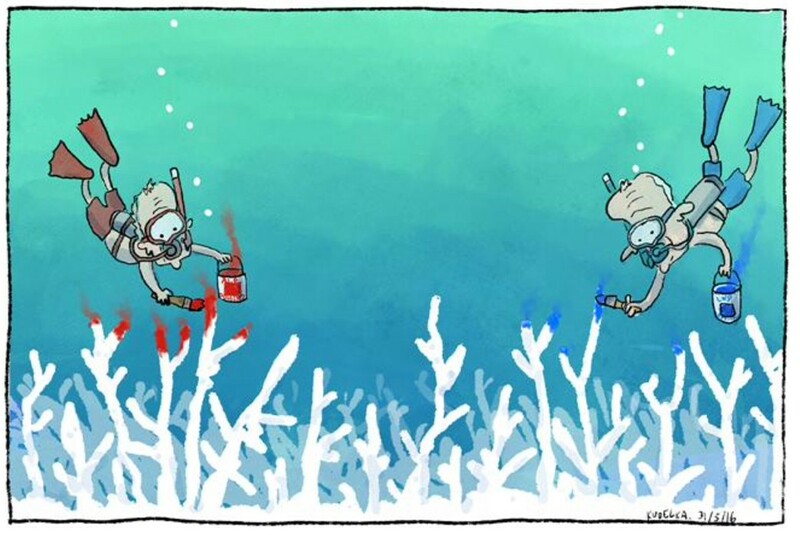 I think this sums up rather nicely the political rhetoric around the Great Barrier Reef right now. I guess it is better than being ignored right?…………..
← Mesophotic Coral Ecosystems – A lifeboat for coral reefs?